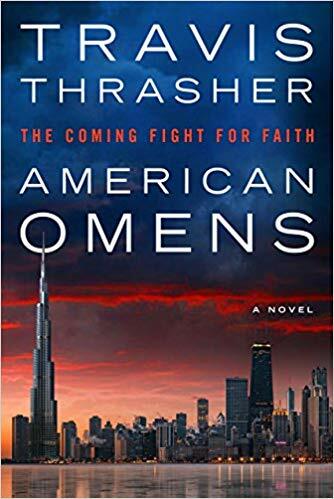 The folks at Waterbrook Multnomah have sent me not just one, but two copies of American Omens by Travis Thrasher! That means I am giving away this thriller to one lucky reader. To enter, just leave me a comment. The giveaway runs through March 6. (US only) Good luck! In this taut thriller that depicts a future where belief is dangerous, faith is deemed hatred, and a group of powerful elite keeps watch, the Reckoner has come to wake up America. The year is 2038 and Cheyenne Burne is a brilliant young programmer working for Acatour, the world’s top technology firm. Her father converts to Christianity, and he suddenly disappears without a trace. When a stranger hands Cheyenne a coded message that sends her on a collision course with a clandestine group of believers, she must put her life in the hands of those following a man known only as the Reckoner. He claims he wants to bring back true faith in Christ to America and also reveal the forces behind the disappearances of the many renowned people who publicly declared their Christian faith. Operating in the shadows and living off the grid, this mysterious prophet assembles a ragtag team–including a former bookseller whose store was shut down for selling prohibited books–to help him take the battle for transparency to the top. With a ruthless FBI agent closing in, can Cheyenne and the others expose the truth and lead a return to God in America before it’s too late? 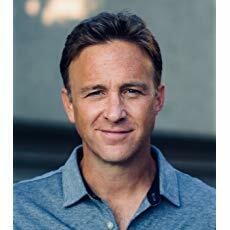 Bestselling author Travis Thrasher has written more than fifty books and worked in the publishing industry for more than twenty years. He has penned fiction in a variety of genres, and his inspirational stories include collaborations with filmmakers, musicians, athletes, and pastors. Travis lives with his wife and three daughters in Grand Rapids, Michigan. http://www.travisthrasher.com. ← The Sewing Sisters’ Society Blog Blitz! Sounds interesting. This scenario could be happening in today’s time. Oh, this book sounds good! It’s been a long time since read a book by Travis Thrasher. Thanks for this opportunity to win one of these books and thanks to Waterbrook Multnomah. While I’ve never read a book by Travis Thrasher, this one sounds timely and exciting. I’d love to read it. Can’t wait to read this one! It’s been a while since I’ve enjoyed a Travis Thrasher book! I would be interested in reading this thriller! Sounds intriguing. . . Thanks for the opportunity to enter a giveaway! Would like to win a print copy! American Omens sounds like a must read!